The final launch of a website can be the most stressful stage in a project. In the mind of the client, the audience’s reaction to the site is key to the success of the project. If a website is missing functionality or has even the slightest mistake, that website reflects poorly on your client’s brand. By following a checklist, you can make sure the product is as close to perfect as possible and keep your clients happy. Since our company is relatively new, we find ourselves constantly changing our practices to create the most efficient process that works for us. Each website and client is different, and our processes are always evolving, but there are some steps in web development that you truly cannot afford to overlook. This guide is not intended to detail the technical process when launching, but instead to set some helpful guidelines to ensure you’re not missing any vital steps that could lead to some huge issues down the road. There really is a lot to account for, and for that reason I will be discussing each topic briefly. Check back later for more in-depth articles on each individual topic. If you imported dummy content, there will be a lot of unused pages and images. Remove unused local backups. Uninstalling and deleting the backup plugin used is not enough. Backup plugins like Backup Buddy will create a local backup in your uploads folder. Each local backup stored on your server will significantly increase the amount of disk space your website takes up. You can even go so far as to remove the WordPress default themes, leaving one behind in case you need to use it as a fallback if something goes wrong. Finally, there’s a plugin I’d like to recommend. WP-Optimize is a great tool that cleans up your databases and removes a lot of unwanted data that would be otherwise a mundane and repetitive task. Two of the best examples of tasks it can help you with are comments and the endless amount of page and post revisions. There are also automation features you can enable to keep things clean on a schedule. One of the most important concerns will be the functionality of the site. Are you redesigning an old website? If so, a lot of links will need to be updated and broken images will need to be fixed. If you’re not a wizard with mySQL queries, there’s a few plugins that can fix everything for you. The first one is Broken Link Checker, which will scrape through all the pages, posts, and content on your site and report what needs to be fixed. Another great option is Search Regex, which is useful in a number of different situations. For one, you can use it to fix broken links and missing images, but you can also think of it as a Find and Replace across your entire website. The plugin is extremely powerful, however, so make sure you gain a strong understanding of how it works before using it. There is no undo button, so please, take caution! Check your website in all the devices you can. This way, you can ensure the website’s usability is not compromised in any environment. I personally start with Firefox’s Responsive Design View and Firebug to write my media queries for each breakpoint. Relying only on resizing your browser window when testing will not be enough, and you should also check individual devices. You never know what inconsistencies could arise! Having a blog is not enough. You also need to optimize it to make sure it reaches its full potential. An extremely popular plugin for blogging is YARPP (Yet Another Related Posts Plugin). YARPP allows you to recommend relevant content to readers, in turn increasing click-through rates. Your blog has already accomplished the difficult task of bringing in visitors to your site, so now you make them stick around with this extremely useful plugin. Don’t forget about social sharing, an important factor in getting your blog out to a bigger audience. Share Buttons by AddtoAny is a simple intuitive plugin that embeds social sharing buttons into your posts. You can customize where the buttons appear, what networks are shown, and how large the buttons are. By far the most popular option for improving search engine visibility is Yoast. All In One SEO is another popular one, but I prefer Yoast because it has had a few less issues with security vulnerabilities in the past. Simply having this plugin installed can do wonders for your site’s SEO. I do recommend optimizing some of the meta descriptions. You don’t want visitors seeing the description of your site as something totally irrelevant because it decided to pull in the first string of text it could find on your site. 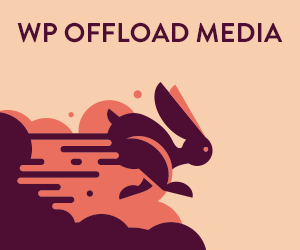 You’re going to want your website to load as fast as possible. Aside from clearing out unused resources as mentioned earlier, a caching plugin can significantly decrease page load times and prevent unhappy customers. W3 Total Cache and Super Cache are two of the most common. I prefer W3 Total Cache because Super Cache has some conflicts with Backup Buddy. Just remember when you have these plugins activated during development, depending on your settings, you may need to clear the cache from the plugins settings for you and/or your client to see changes to the website. Note: Some managed hosting companies will take care of this for you. Managed hosting platforms like SiteGround and WPEngine will handle this on their server, which is great for you because it translates into less plugins on your end, and a more clean, light-weight website. In this case, installing a caching plugin would be harmful because chances are it would conflict with the software taking place on the server. Who knows — tomorrow, your website could get hacked or you accidentally break the whole thing. You need something in place that creates backups of your site so you have something to revert back to in the case of an unexpected disaster. Backup Buddy is recognized as the industry standard. It is a premium plugin, however, so be prepared to shell out the cash. Even so, the features are well worth it, but if you’re not ready to pay, BackupWordPress is a popular free version that you can find in the WordPress repository. Note: Similar to caching plugins, automated backups are taken care of by most higher-end managed hosting companies. My company is fortunate to host all of its sites on WPEngine, which grants the ability to “one-click restore” daily backups. With the rise of hackers lately, it’s important to keep your site safe. Intruders will hack into your website for advertising purposes, stealing data or even personal fame. A “brute force” attack is the most common technique, and it involves using a list of passwords to attempt to login until successful. The easiest way to thwart this attack is the plugin Limit Login Attempts. WordPress allows an unlimited number of login attempts, but with this plugin activated, after a few unsuccessful login attempts, the perpetrating IP is blacklisted. If you’re interested in even more security, you should try out a plugin that offers a suite of security features like BruteProtect or WordFence. Although WordFence is the most popular, I use BruteProtect out of personal preference. Note: Caching, backups and security are three main features managed hosting companies provide. Consult with your hosting company to see what they cover, and you might be relieved to find out you need not worry about the last three topics. Test the website’s contact form to ensure it’s going to the right place. Also, if you created new emails, they need to be functioning properly and accessibly by your clients. Sometimes the best way to make sure everything’s up and running smoothly is to schedule a call with the client to troubleshoot with him/her until everything’s working. Since there’s so much going on under the hood of the site, it’s easy to miss or overlook important pieces of your website’s puzzle. Don’t spend all of your focus on the aesthetics and recognize the importance of all the other aspects that make a solid website. After all, web standards are always evolving and it’s your job to evolve with them. Did I miss anything, or would anyone like to share their advice? Feel free to leave a comment or email me directly.